The Hospitality House is a place that can be rented and is located on our campgrounds. 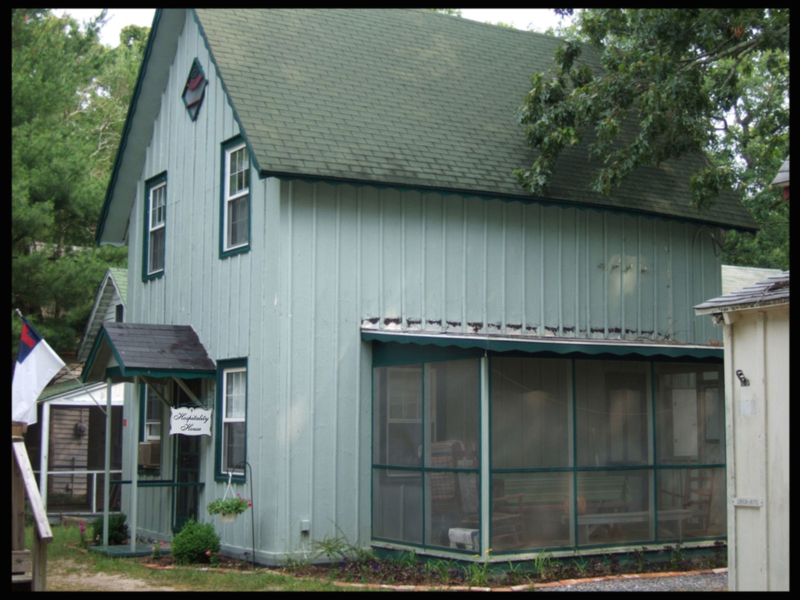 Wright Hall is a rented Youth Facility where your Youth Group can enjoy the campground for an overnight or longer stay. Oak Hall is another separately rented Youth Facility. It is also very roomy and can sleep 24 people comfortably. Facilities are available for use by groups. To make arrangements, contact Tom Fisher – (609) 374-0104. Download the pdf facilities form. The Camp Meeting has grown from a three day Quarterly Conference to a two week session with Youth Conferences. The grounds are also used for Adult and Youth Retreats in the Spring, Summer, and Fall months. Cottages have replaced the original tents and pine-knot lighting is no longer used. The cottages are in the original style. although many have been enlarged and improved and are used for the entire summer. South Seaville Camp Meeting's mission is to provide an outdoor oriented, Christian environment where all persons may come to retreat, reflect, have fun and gain knowledge and a deeper faith to nurture their lives, their love of God and one another.